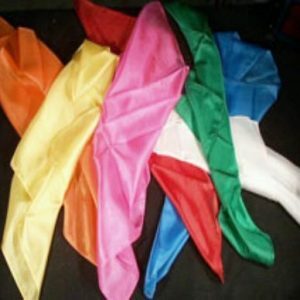 These are great giveaways to your young helpers during your magic act and a clever way to advertise too. 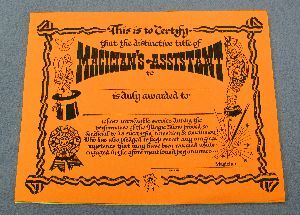 After the youngster has finished helping you with a magic trick, or anything else, give them one of these certificates before sending them back to their seat. It states they have been acclaimed an honorary magician’s assistant for helping the magician during the show. Signed by the magician. You receive twenty certificates in a variety of colors.